I've been wanting to share this nail art on this blog but I couldn't because I had to wait for it to be published on a blog I am currently contributing for. If you haven't heard yet, I am now writing as a contributor on www.mykoreanboyfriend.com. I submitted this as my first article on that blog. Yay! What do you think? 2NE1 is known as one of the most fashionable groups in the K-pop scene. That's why I never have hard time coming up with a design whenever I make a 2ne1 inspired one because all of their outfits are eye-catching. 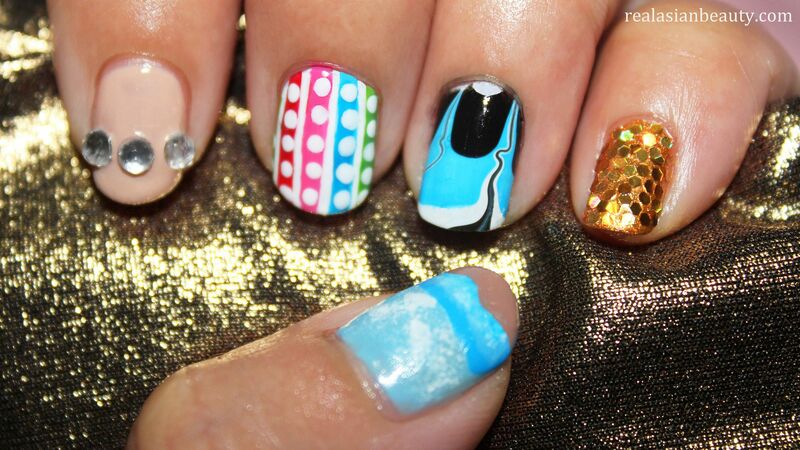 All those bold prints and colors are so pretty, they are so worthy to be recreated on the nails! If you want other nail designs, you can go ahead and paint your nails exactly like how the girls had their nails in the video,too! 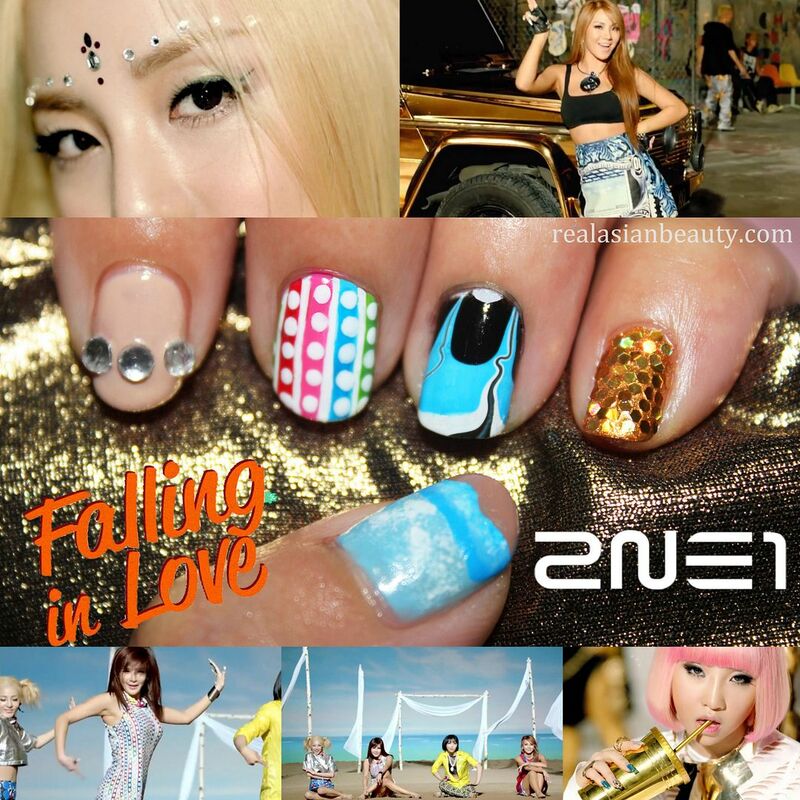 Dara's nails were painted to match the "Reggae" tone of their song. Her nails were painted in bright Red, Yellow and Green. The other two nails were painted with some shapes and lines as accent. Bom's nails were elegantly painted in white and then decorated with silver glitter and some sparkly stones. Her nail art was not something you'd expect to see from her, knowing her style and preference. But in case you still wanted to know, hers were just plainly painted in light blue nail polish. Minzy's Nails - Her nail art was a combination of Teal polish, leopard print and some rhinestones. Out of the 3 legit nail arts, hers is my favorite and the design I'de most likely paint on my own nails. I hope you like the design I came up with! Remember, if you think painting all 5 designs is just too much, you can go ahead and choose 1 design and paint the rest of your nails in that pattern. To read the entire article I posted on MyKoreanBoyfriend, please click this link.